Last week I had the pleasure of attending the Little Silk Wings event here in Perth, Western Australia. 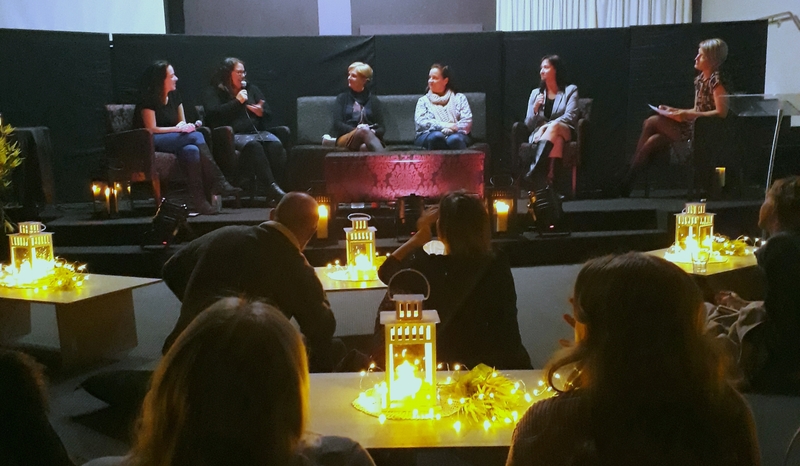 Amy Banson, Founder of Little Silk Wings has been taking this event across Australia, with the mission of opening discussions around miscarriage, stillbirth and infant death by way of creating an intimate and safe space to welcome a panel lead discussion. Here in WA panelists included, Dr Vicki Kain, Midwife Kirsty Weigele and Artist Carly Marie Dudley, amongst others. This diverse panel allowed multiple viewpoints and experiences to be presented and validated as the discussions flowed from academic and medical, to intuitive and holistic. In a space such as this, those individual personal experiences are allowed to breathe, whether voiced by those in the audience or not, a collective understanding was present in the room. The overall feelings was of validation for all experiences of loss; the sudden, the traumatic, the prolonged, the medical, or the myriad of ways the experience of child death can occur. All experiences were accepted and supported (and discussed if time allowed), and that is a very rare type of support to achieve. Amy is continuing this wonderful event through the rest of Australia and you can go to their FB page Little Silk Wings for more information.